All the skills you need to make the any cheer squad! At the Olympiad Every Child is a Winner! Our Cheer Tumbling program focuses on tumbling required to be a cheerleader. This is our recreational Cheer program. These classes work out 55 minutes each week. The class consists of 4 different rotations. Rotation #1 is a 10 minute warm up. This helps the athletes prepare for the next three rotations and helps prevent injury. The next 3 rotation will be 15 minutes each. The athletes will rotate from the Trampoline – Tumble Trampoline – Floor. This is different from our girls gymnastic program. In the Cheer Tumbling class the athletes will not practice on the Uneven Bars, Beam, or the Vault. In our recreational cheer tumbling program, progressions are the most important part of the class. Each student will have an individual skill card with skill ranging from Level 1 to Level 5. To learn Gymnastics effectively and safely there is a proper order of skill to master before moving on to a more difficult skill. Our goal is always to push your child and change them every class. 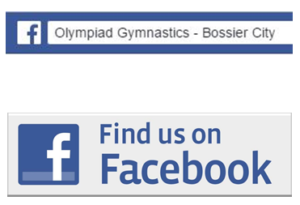 At Bossier Olympiad we strive to keep you informed of all important information with regards to your child’s gymnastic class. In an effort to keep you more informed, we have 3 forms of communication. Pick the one that works for you! Our first form of communication is through email. 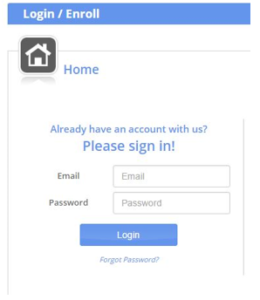 When you registered your child for classes, you had to use an email for your online account. We use this email address to send out emails to all our current and former students. If you have not received our emails in the past, sometimes these emails can end up in the spam filter so check there if you have not received email in the past. We will be posting all reminders and updates about our gym on our Facebook page. We have also added texting to our reminders. If you sign up for the text reminder you can get all the important information sent directly to you phone in a text message. 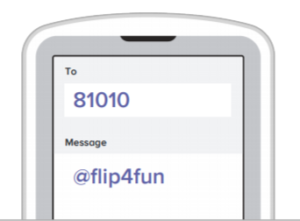 To sign up, all you have to do is text the number 81010 the message @flip4fun.